"What, is it in present day or ancient Greece?" 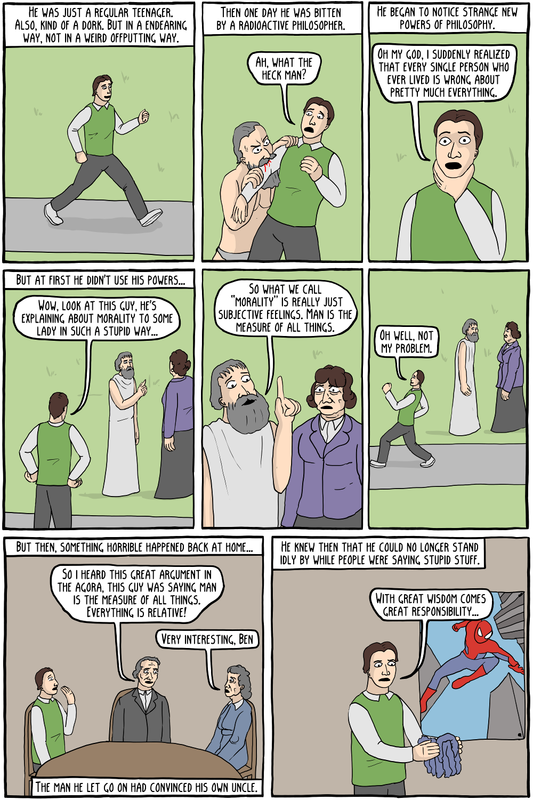 "Uh...another power that Socratesman has is time travel..."
Relavitism, like a lot of positions in Western philosophy, originated in Ancient Greece. Protagoras was the main culprit, and while it's unclear what his exact positions were (unsurprising for someone who prided himself on being able to argue any side of any given debate), Plato accused him of relativism for both morality and knowledge in general. He rejected relativism about the truth by claiming that the doctrine itself was an absolute statement of truth (which would become a popular, although not necessarily devastating critique, throughout time). Plato rejected moral relativism as well, claiming that morality was a type of excellence of character that moved towards one single perfect form. 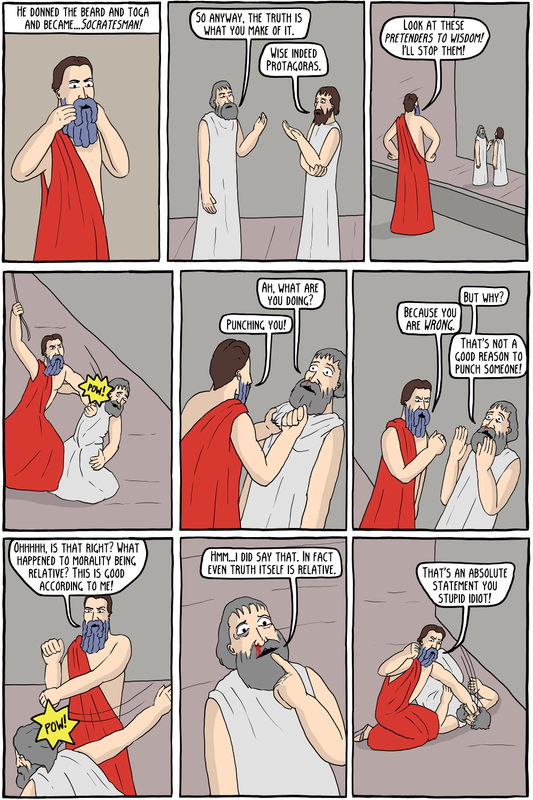 Whether anyone in Ancient Greece attempted to refute moral relativism by means of punching is unclear.